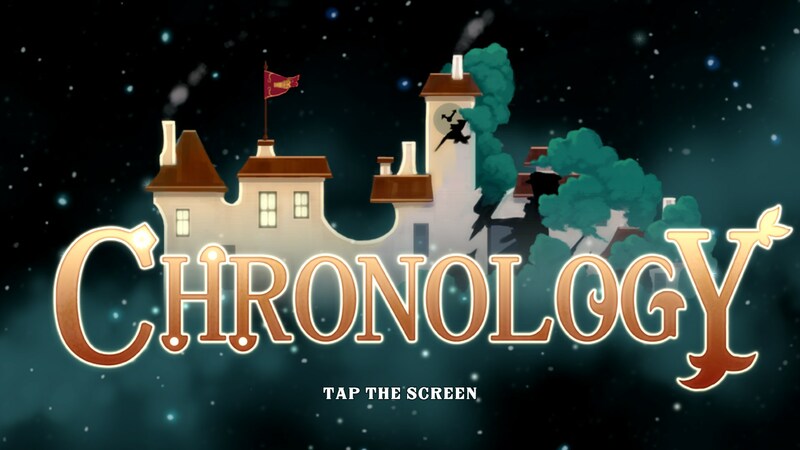 Chronology - Time changes... – Games for Android 2018 – Free download. 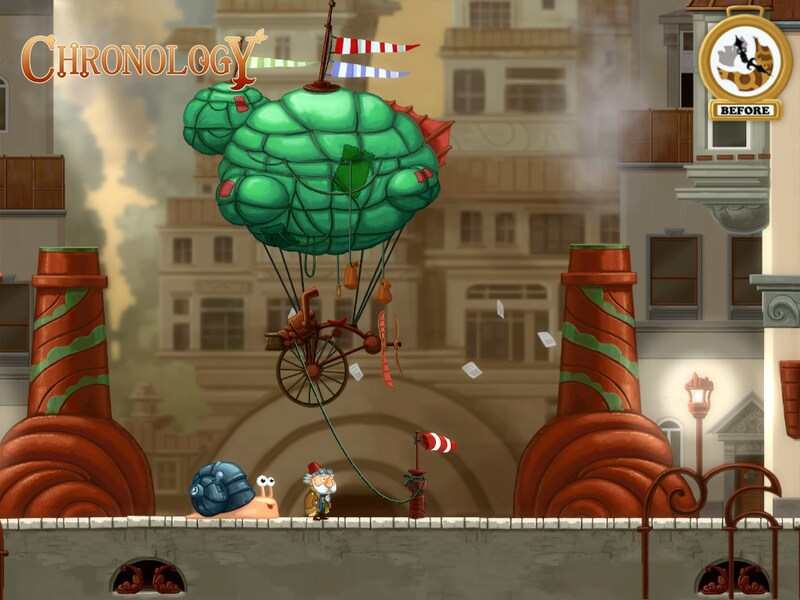 Chronology - Time changes... – The original platformer about time travel. 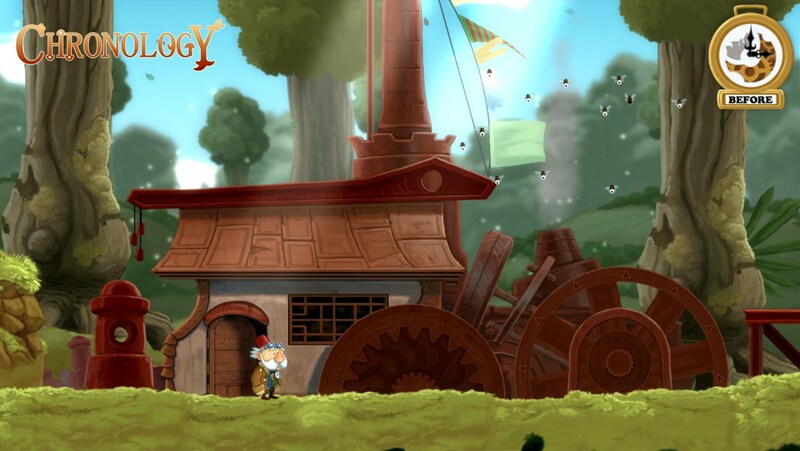 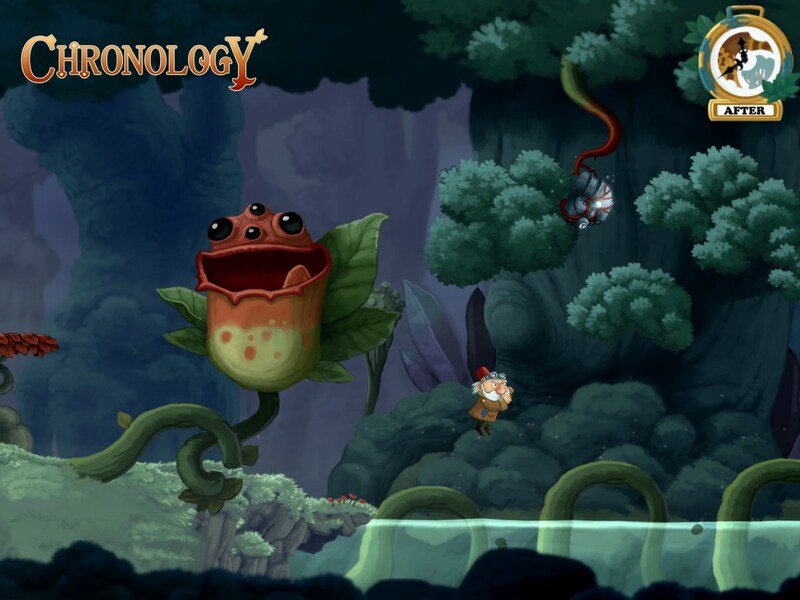 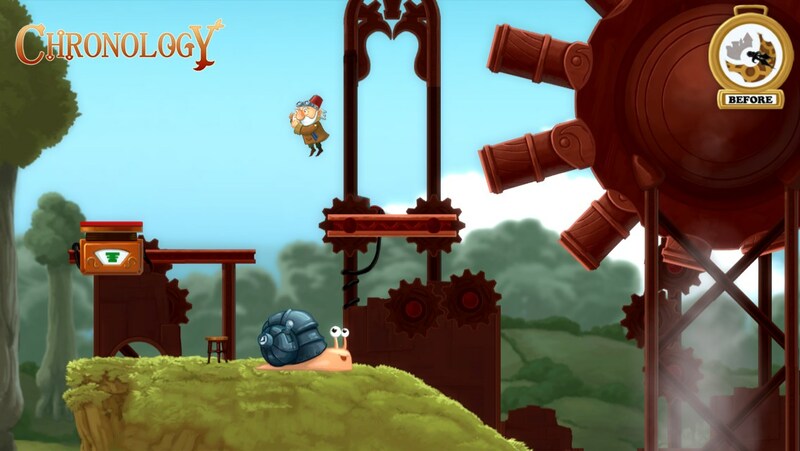 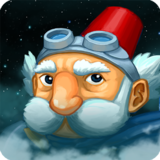 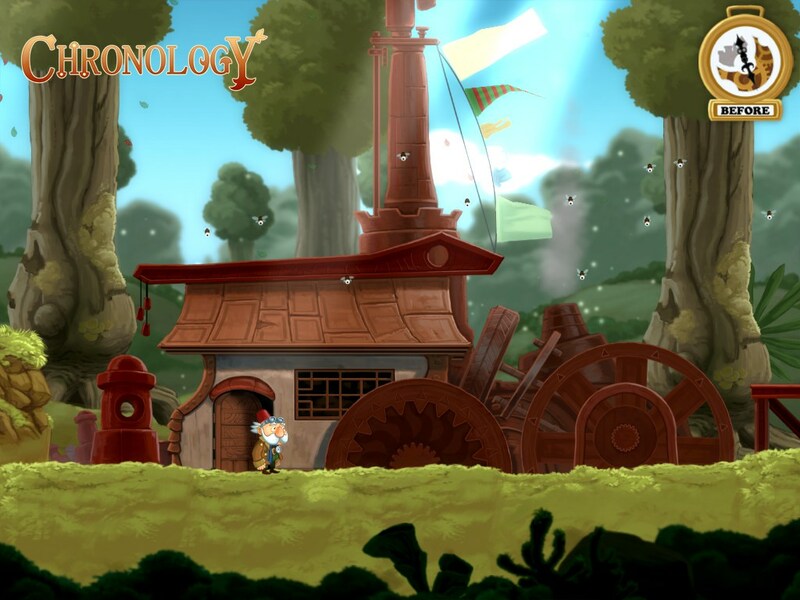 Chronology for Android is a platform puzzle adventure with an interesting twist. 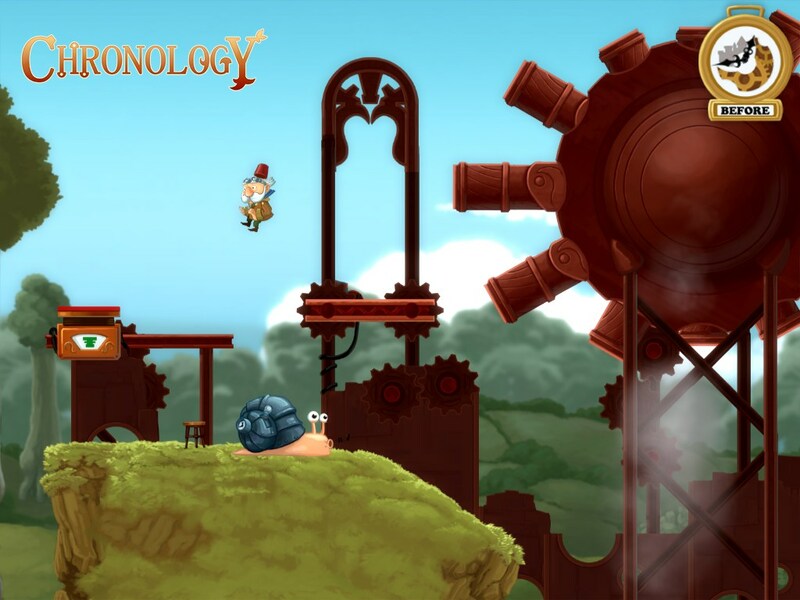 To navigate through the levels, you need to press a button to travel back and forth between two different times. 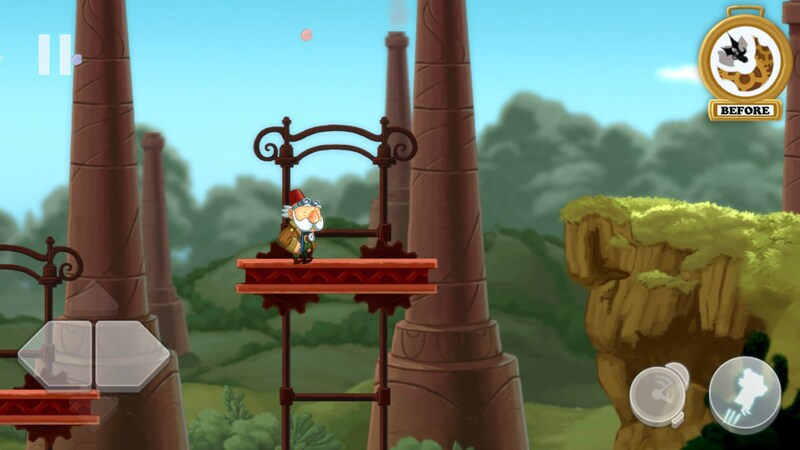 In the earlier time, elevators work, plants are small, and structures are upright. 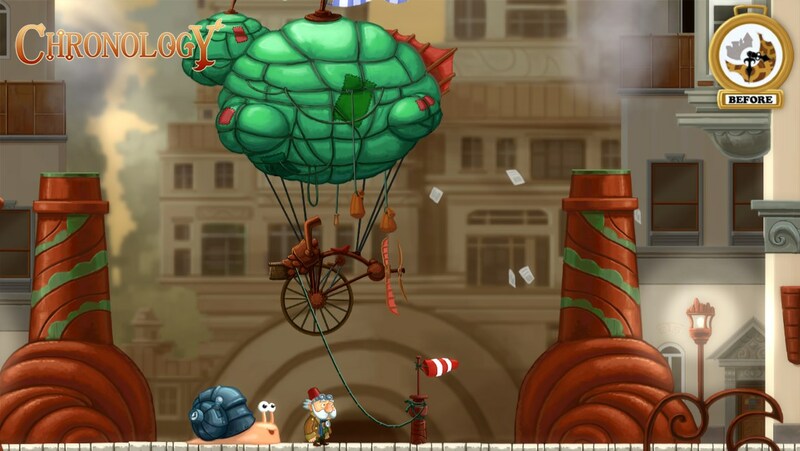 In the later time, plants have grown huge, millipedes have turned into enormous beasts, and structures are falling over. 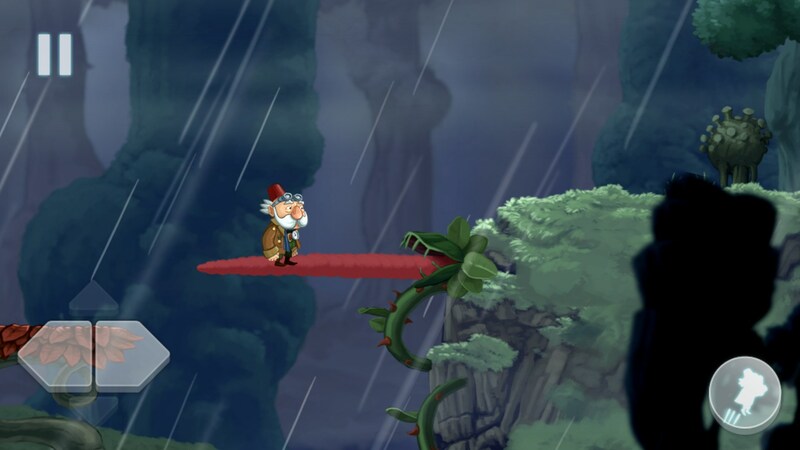 You might need, for example, to go to the later time, jump up on the large plant; and then jump towards a broken platform; simultaneously shifting back to the earlier time so that it warps back into existence in time for you to land on it. It's a really clever idea for a game, but I did find it a little frustrating at time. 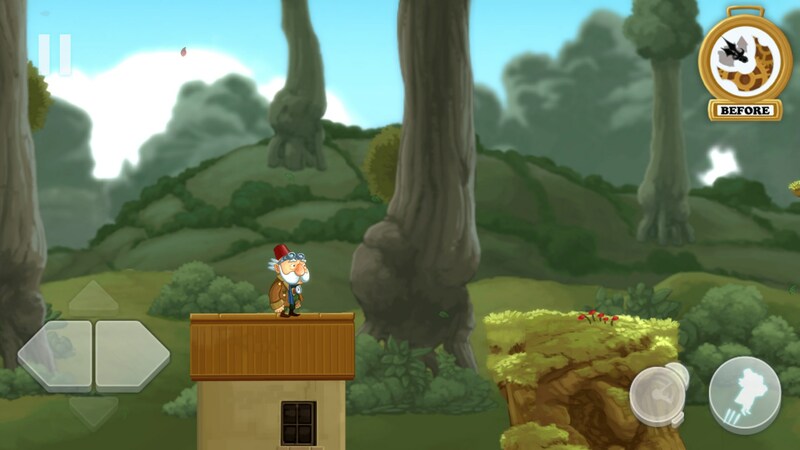 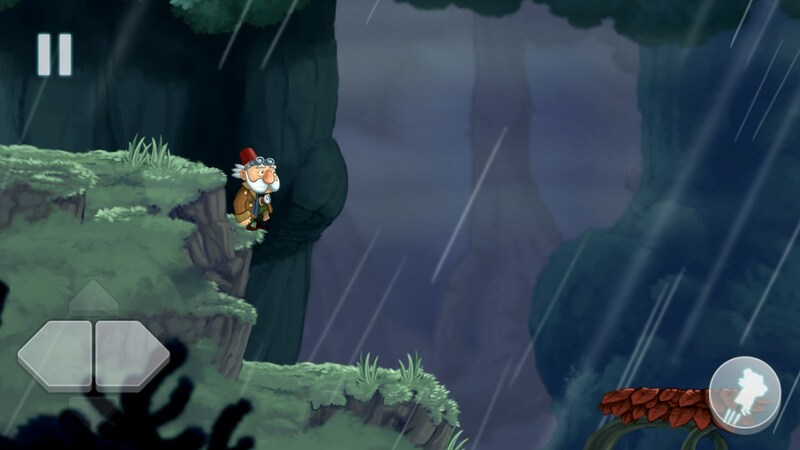 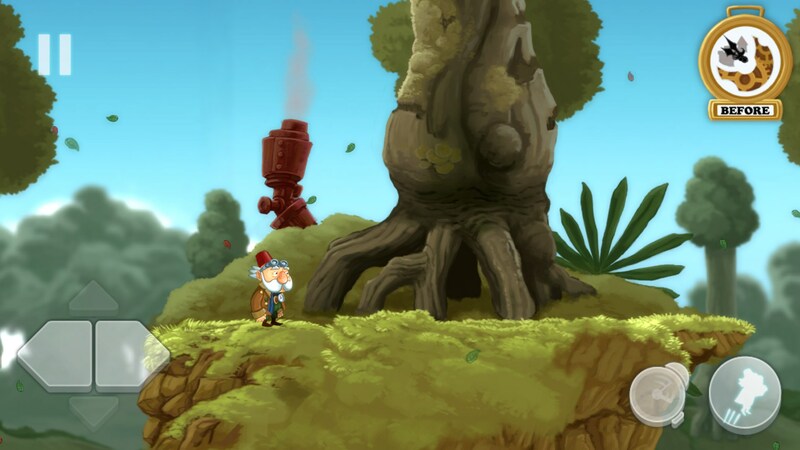 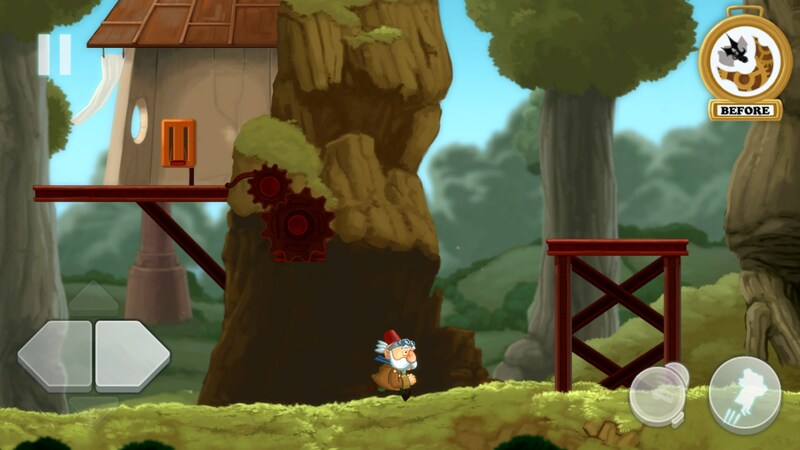 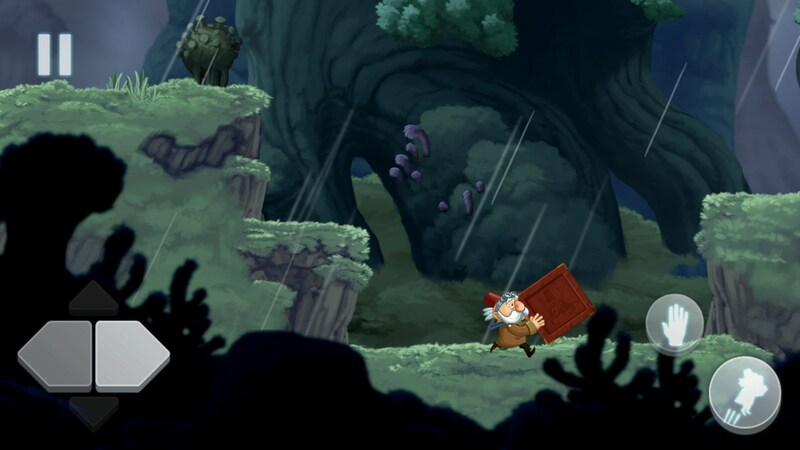 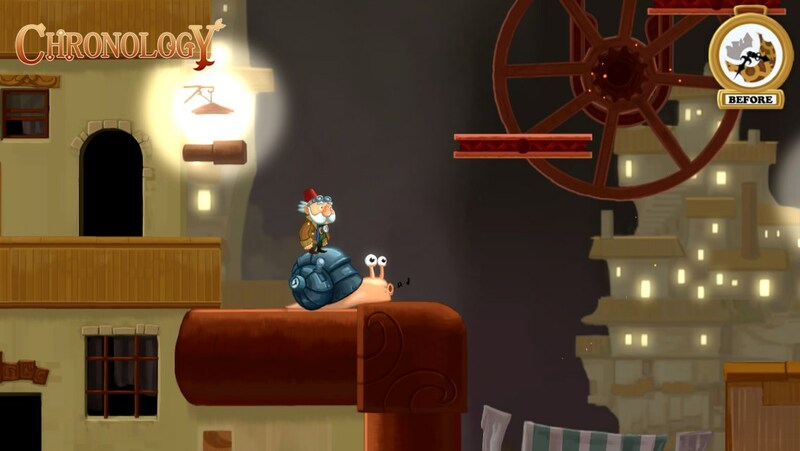 The professor's jumping action is a bit awkward, and the sound of him going "argh" as he falls down a hole can begin to get annoying when you are stuck too long on trying to overcome one particular set of obstacles. 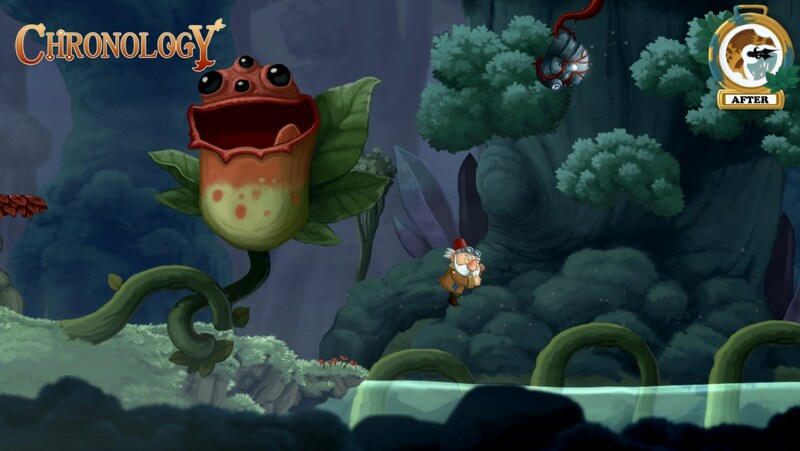 The gamer is offered on a model of the first few levels being free, and the remainder being available as a small, one off in-app purchase. 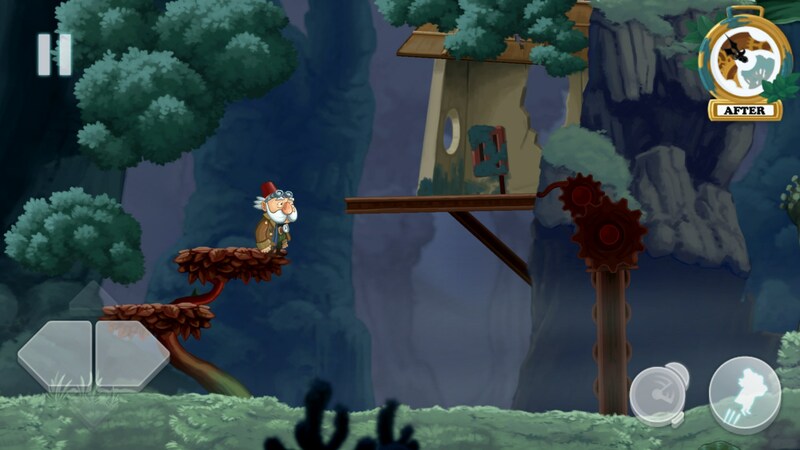 So you have nothing to lose from trying out a few levels to see how you like it. 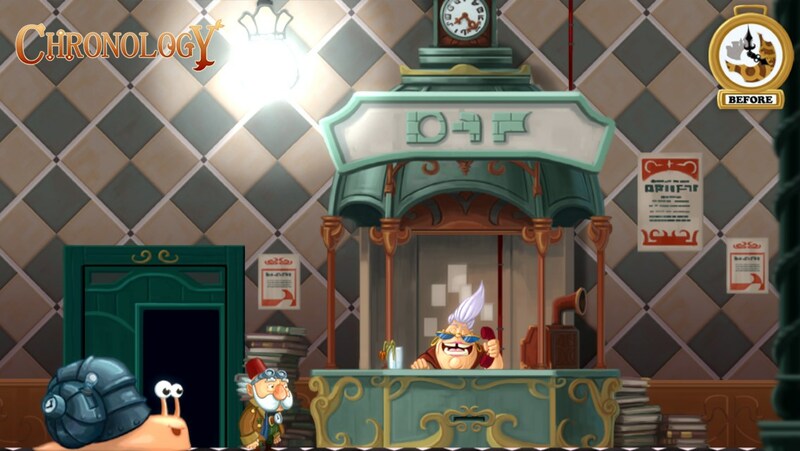 If you enjoy solving puzzles interactively, and like the whole concept of time travel, this could be a winner for you.